The search for potential conflicts is wide-ranging. WASHINGTON — President Trump’s lawyers and aides are scouring the professional and political backgrounds of investigators hired by the special counsel Robert S. Mueller III, looking for conflicts of interest they could use to discredit the investigation — or even build a case to fire Mr. Mueller or get some members of his team recused, according to three people with knowledge of the research effort. The search for potential conflicts is wide-ranging. It includes scrutinizing donations to Democratic candidates, investigators’ past clients and Mr. Mueller’s relationship with James B. Comey, whose firing as F.B.I. director is part of the special counsel’s investigation. The effort to investigate the investigators is another sign of a looming showdown between Mr. Trump and Mr. Mueller, who has assembled a team of high-powered prosecutors and agents to examine whether any of Mr. Trump’s advisers aided Russia’s campaign to disrupt last year’s presidential election. Some of the investigators have vast experience prosecuting financial malfeasance, and the prospect that Mr. Mueller’s inquiry could evolve into an expansive examination of Mr. Trump’s financial history has stoked fears among the president’s aides. Both Mr. Trump and his aides have said publicly they are watching closely to ensure Mr. Mueller’s investigation remains narrowly focused on last year’s election. John Dowd in 2011. Mr. Dowd, a veteran Washington defense lawyer, will now take the lead representing President Trump. Mr. Trump also said Mr. Mueller would be going outside his mandate if he begins investigating matters unrelated to Russia, like the president’s personal finances. Mr. Trump repeatedly declined to say what he might do if Mr. Mueller appeared to exceed that mandate. But his comments to The Times represented a clear message to Mr. Mueller. “The president’s making clear that the special counsel should not move outside the scope of the investigation,” Sarah Huckabee Sanders, a White House spokeswoman, said during a news briefing on Thursday. Joshua Stueve, a spokesman for the special counsel, declined to comment. For weeks, Republicans have publicly identified what they see as potential conflicts among Mr. Mueller’s team of more than a dozen investigators. In particular, they have cited thousands of dollars of political donations to Democrats, including former President Barack Obama, made by Andrew Weissmann, a former senior Justice Department official who has expertise in fraud and other financial crimes. News reports have revealed similar donations by other members of Mr. Mueller’s team, which Mr. Trump’s allies have cited as evidence of political bias. Another lawyer Mr. Mueller has hired, Jeannie Rhee, represented the Clinton Foundation. The examination of Mr. Mueller’s investigators reflects deep concerns among the president’s aides that Mr. Mueller will mount a wide-ranging investigation in the mold of the inquiry conducted by the independent counsel Kenneth W. Starr during the 1990s. Mr. Starr’s investigation into President Bill Clinton began by reviewing an Arkansas land deal and concluded several years later with the president’s impeachment over a lie about a sexual affair. By building files on Mr. Mueller’s team, the Trump administration is following in the footsteps of the Clinton White House, which openly challenged Mr. Starr and criticized what Mr. Clinton’s aides saw as a political witch hunt. Mr. Trump’s advisers are split on how far to go in challenging the independence of Mr. Mueller, a retired F.B.I. director and one of the most respected figures in law enforcement. Some advisers have warned that dismissing Mr. Mueller would create a legal and political mess. Nevertheless, Mr. Trump has kept up the attacks on him. In his interview with The Times, which caught members of his legal team by surprise, he focused on the fact that Mr. Mueller had interviewed to replace Mr. Comey as the F.B.I. director just a day before Mr. Mueller was appointed special prosecutor, saying that the interview could create a conflict. “He was sitting in that chair,” Mr. Trump said during the Oval Office interview. “He was up here, and he wanted the job.” Mr. Trump did not explain how the interview created a conflict of interest. In addition to investigating possible collusion between Russia and Mr. Trump’s advisers, the special counsel is examining whether the president obstructed justice by firing Mr. Comey. Some of Mr. Trump’s supporters have portrayed Mr. Mueller and Mr. Comey as close friends. While they worked closely together in the Justice Department under President George W. Bush and are known to respect each other, associates of both men say the two are not particularly close. Mr. Mueller’s team has begun examining financial records, and has requested documents from the Internal Revenue Service related to Mr. Trump’s former campaign chairman, Paul J. Manafort, according to a senior American official. The records are from a criminal tax investigation that had been opened long before Mr. Trump’s campaign began. Mr. Manafort was never charged in that case. Federal investigators have also contacted Deutsche Bank about Mr. Trump’s accounts, and the bank is expecting to provide information to Mr. Mueller. Mr. Sekulow is one part of a legal team in the midst of being reorganized, according to three people with knowledge of the matter. The role of Marc E. Kasowitz, the president’s longtime New York lawyer, will be significantly reduced. Mr. Trump liked Mr. Kasowitz’s blunt, aggressive style, but he was not a natural fit in the delicate, politically charged criminal investigation. 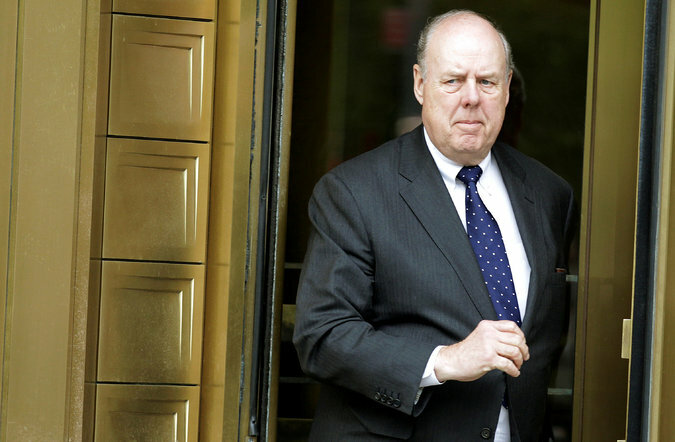 The veteran Washington defense lawyer John Dowd will take the lead in representing Mr. Trump for the Russia inquiry. Mr. Sekulow, a firebrand lawyer with deep conservative credentials, will serve as Mr. Dowd’s deputy. Two people briefed on the new structure said it was created because the investigation is much more focused in Washington, where Mr. Dowd has a long history of dealing with the Justice Department. Mark Corallo is no longer working as a spokesman for the legal team. A former Justice Department spokesman, Mr. Corallo was one of several people cautioning against publicly criticizing Mr. Mueller. The shake-up comes weeks after Mr. Dowd and Mr. Kasowitz had a face-to-face meeting with Mr. Mueller. The lawyers said they hoped Mr. Mueller would conduct a thorough investigation but asked that he wrap it up in a timely manner because of the cloud it had cast over the presidency, according to a senior American official and two others briefed on details of the meeting. Mr. Dowd said Mr. Trump would fully cooperate with Mr. Mueller, one of the people said. It is not unusual for lawyers to meet with prosecutors to establish a line of communication, or to encourage them to move quickly. Mr. Trump’s situation is unique, though, because of his team’s public threats that they could fire Mr. Mueller at any time.